mistrives ekstremt på jobb go As the exponential pace of drone technologies continue, it would appear that both presidential candidates and military organizations are becoming a bit worried of potential nefarious operations using swarms of attack drones. DARPA has recently sent out a Request for Information (RFI), seeking ideas for defense against such a possibility. 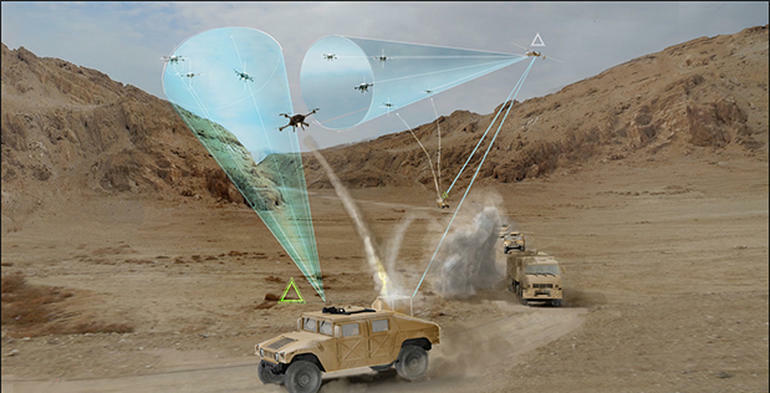 DARPA is inviting short responses to their RFI (five pages or fewer), of which should include conceptual designs and performance capabilities, a technology maturity assessment, and much more. Once their review is complete, they’ll then invite selected submitters to attend a Mobile Force Protection workshop at the Agency’s office in Arlington, Va., of which will be scheduled for late September 2016.
http://stationpaper.live notenbuch des heinrich nicol phillip To ensure creative defense ideas against potential attack drones, DARPA is encouraging participation from private or public companies, individuals, universities, university-affiliated research centers, non-profits, foreign entities, and U.S. govt. labs. papstkrone 5 buchstaben there Drone swarm technologies aren’t simply sci-fi hype. As the video above clearly shows, it’s a technology that is already being tested on by U.S. military agencies. Once drones become easier to 3D print, and 3D printing is proliferated into every home in America and abroad, what is to stop someone from 3D printing an entire army of drones? This was the very question asked by U.S. presidential candidate Zoltan Istvan of the Transhumanist Party. weber finmasket kurv go The future of warfare won’t consist of humans or biological flesh, but of robots on the ground and in the sky. If we’re unable to defend ourselves against such a potential threat, then we better get ready soon or prepare for our own downfall. myles kennedy patience view B.J. Murphy is the Editor and Social Media Manager of Serious Wonder. He is a futurist, philosopher, activist, author and poet. B.J. is an Affiliate Scholar for the Institute for Ethics and Emerging Technologies (IEET) and an Ambassador for the robotics company Humai.